Prior to his current role as Head of The Ratner Montessori School, Michael Griffith served for 15 years as principal of Shaker Heights High School, in Shaker Heights, Ohio. Before that, Mike was principal of Lennox Middle School in Lennox, California following a career as a math teacher in both public and private schools in Los Angeles. Mike holds a Bachelor of Applied Science in Psychology from Loyola Marymount University, where he was a member of the Jesuit National Honor Society, and Psi Chi, the National Honors Society for Psychology. He earned a Master‘s of Education in Educational Leadership and Administration from UCLA and has completed coursework toward a Ph.D. in Educational Psychology in Learning and Instruction at UCLA. Mike is the proud father of Anna, Michael and Daniel, and he lives in Shaker Heights with his fiance, Donna. 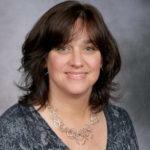 Upon graduating with a Bachelors of Science in Sociology, Ginny began a 15 year career in the Social Service industry as a Director of Social Services/Admissions in the geriatric field. As her interests evolved, Ginny decided to make a career change. She has tried several fields, each gaining more knowledge in areas that would not have a typical social service job. Ginny was drawn to the education field, and feels she has found her home. Ginny came to The Ratner School in July of 2013. She and her family moved to Cleveland from Maryland, and Ginny is thrilled to be here. The Cleveland area is very much like where she grew up in Western Pennsylvania. Being a mom of four keeps Ginny busy, but in her downtime, she loves reading, hiking, and crocheting. 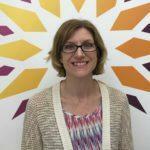 Becca has been in the field of early education for over 20 years, and loves every minute of it! 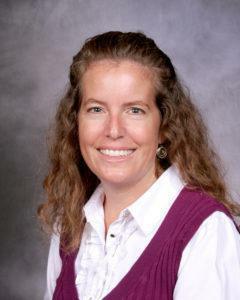 She has a bachelor’s degree from Ohio University, and obtained her Montessori credential in Adrian, Michigan. 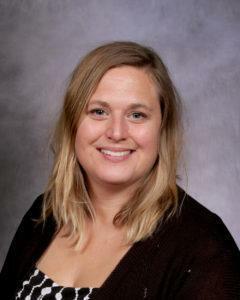 Becca was previously an instructor for the Columbus Montessori Education Center Teacher Education Program. She has also presented at Montessori conferences and the Ohio Association for the Education of Young Children’s conference. Becca has spent her career both in the areas of teaching in toddler-age classrooms and directing early education programs. She spent 16 years at Columbus Montessori before joining the Ratner staff. Outside of work, Becca and her husband enjoy spending time with their 2 sons, hiking in the beautiful Metroparks, and reading any good book she can find. Ray has been the Director of Facilities at Ratner since 2007. 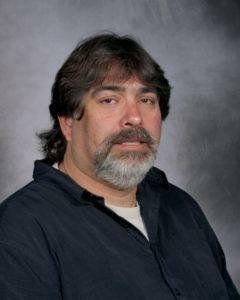 Prior to 2007, Ray worked as a a crew leader/facilities manager for Forest City Enterprises, owned and operated a commercial and residential contracting company, and was part owner of a family home repair and improvement business. Ray is a veteran of the United States Army, is the proud father of three and uncle to much-adored nieces and nephews, an avid music fan, and a Cleveland sports team devotee (win or lose!). 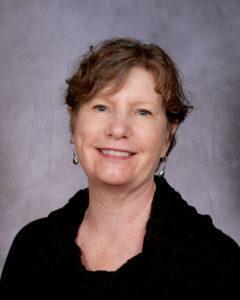 Pat Carey-Bell, a longtime Ratner parent and Montessorian, has many professional interests. 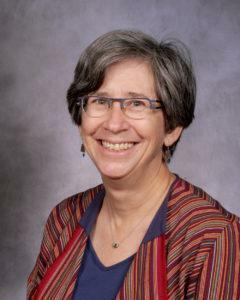 Pat has written and taught the Montessori Pre-Primary Humanities program, served as a summer camp teacher, taught gardening and outdoor education, forged a trail in the woods on campus, and serves as a co-teacher for the MPP Humanities Art sessions. 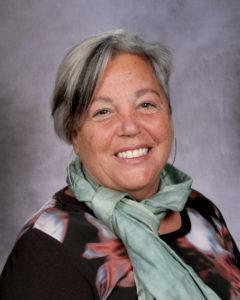 Pat has a reputation as a thorough and dedicated Montessori teacher trainer, and has mentored many excellent teachers at the school. 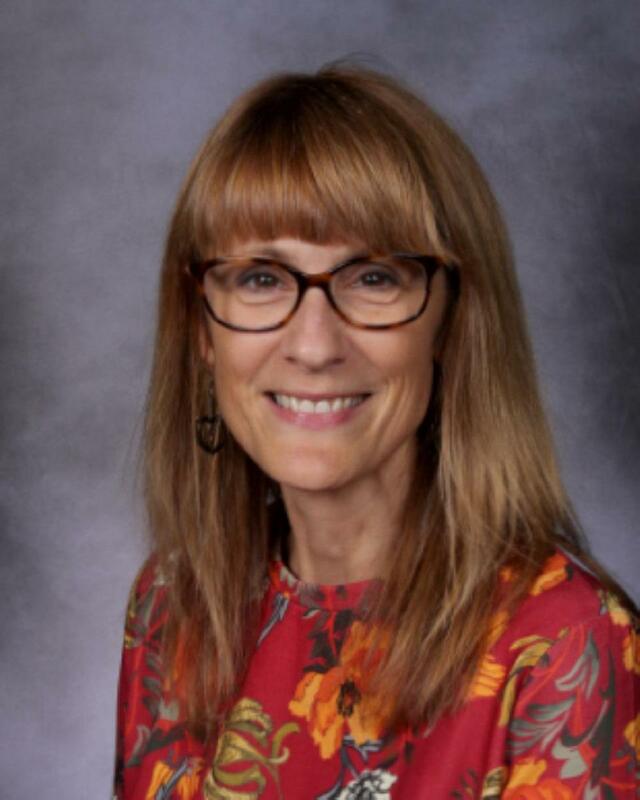 Pat is highly regarded in the community as a teacher who recognizes individual needs, creates plans, and implements positive integration and change for students. Emily has an undergraduate degree in cultural anthropology and a graduate degree in environmental education with a teaching certification. Emily was a kindergarten teacher for several years in Massachusetts and a first grade aide in Minnesota prior to moving to Cleveland. Emily has been a Montessori Pre-Primary assistant at Ratner since 2014. Emily grew up in Massachusetts and moved to Cleveland with her husband and two sons, both Ratner students, in 2010. Emily loves to be outdoors, especially going for walks in the woods and gardening. She started cello lessons in 4th grade and played through college and into adulthood. Emily loves travel, and has visited Europe and Central and South America. She enjoys reading and knitting in her free time. Dani is currently working on her degree in Early Childhood Education at Ursuline College. Originally from Washington, D.C., Dani moved to Cleveland three years ago. She has a large family who she is very close to. Dani’s family is from El Salvador, so she grew up speaking both English and Spanish. She developed a love for languages, enjoyed learning Chinese in high school, and is currently studying Korean. 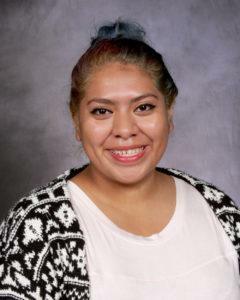 Dani has several interests, including reading transcendentalist literature, crocheting and sewing, and music. Kathy spent most of her school life in Colorado, where she graduated from high school and attended college. While she was in college, Kathy interned in a Montessori school and loved it, and then attended the Montessori training program in Boulder. 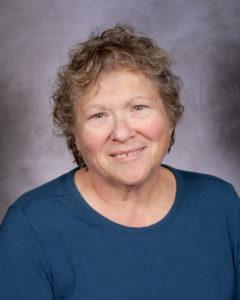 After completing the Montessori training, Kathy started her teaching career at a Montessori school in Fountain, Colorado where she taught for three years and then became co-owner of the school. She left this school after her first child was born and then relocated to Cleveland. 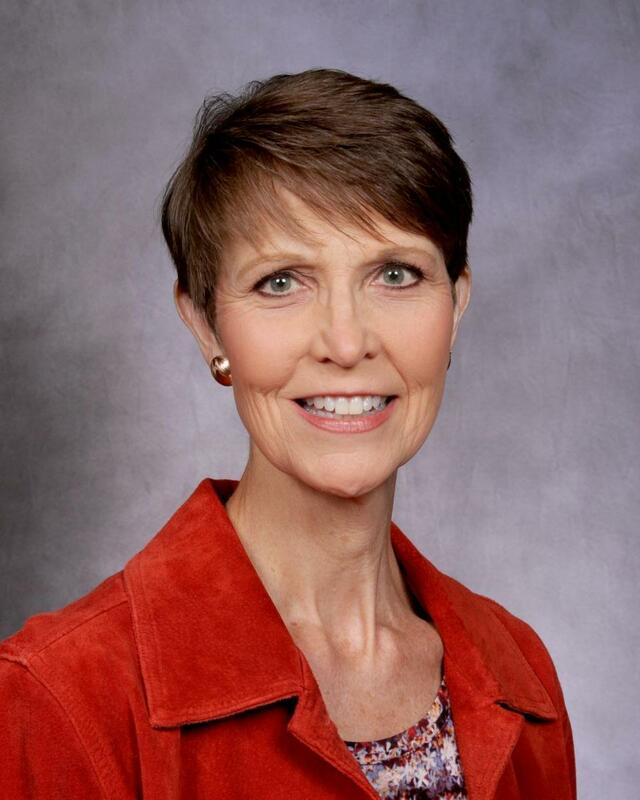 When her first child started in a Montessori program in Cleveland, Kathy began teaching again. After teaching at Marotta Montessori for five years, Kathy began teaching in a 3-6 class at Ratner and then switched to the toddler program in 2002. Kathy enjoys reading and crafts. She spends a lot of time with her six children who are currently renovating newly purchased properties. 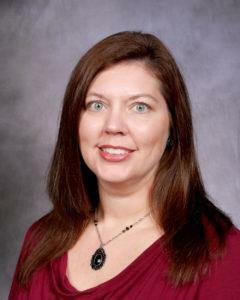 Aria holds an undergraduate degree in Sociology from Ursuline College, and a Master’s in Early Childhood Education from John Carroll University. Aria lives in Willoughby with her husband Jeff and dog Jack. She enjoys spending time with her family and friends. She loves the Ratner school and being a part of such a wonderful community. 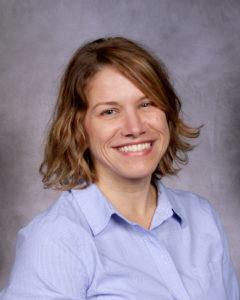 Rachel has a bachelor’s and master’s degree in curriculum instruction with a reading endorsement. Rachel was a first grade assistant teacher for 4 years and then taught 2nd grade in Las Vegas for 9 years before moving back to her hometown of Cleveland in 2016 to be closer to their families. Rachel and her husband are parents to 3 kids and a golden retriever named Hank. While living in Las Vegas, the family loved hiking and taking road trips. Rachel enjoys recording her family memories through scrapbooking. Dan has a B.A. in Languages and Linguistics – Japanese and a B.S. in International Business from Florida Atlantic University, as well as an M.Ed. in Early Childhood from John Carroll University. Dan has been teaching at Ratner since 2014. Dan and his husband, Bruce, live in Newbury with their three dogs. They have been together for 17 years and were married in 2014. Dan enjoys cooking and baking, gardening and home improvement projects. He plays the piano and is passionate about writing when time allows. Dan has lived in 5 different states, and has lived in two of those states on more than one occasion. Sarah holds a BS in Elementary Education from Central Michigan University and an MA in Education with Reading Specialist Endorsement. She is trained in Lucy Calkins Units of Writing. Sarah has teaching experience in both public and private schools. Sarah is a registered yoga teacher for adults and children, and is an avid runner. She loves taking learning outdoors and using movement in ways that stimulate student growth and confidence. Sarah and her husband are raising two children, Alex and Ella. Chelsea has a Bachelor of Arts degree from Capital University as an Intervention Specialist. Chelsea is a proud aunt and has two pets, a dog and a turtle. Chelsea loves playing board games with friends and family, going to concerts, and walking in the Metro Parks. Chelsea has a love for art and also enjoys sports. Her favorite sports are baseball (Go TRIBE!) and roller derby (GO BRRD!). Chelsea loves travel and has a long list of places she’d like to visit, but Cleveland will always be her favorite city! Pat spent twenty years raising her family and teaching north of the city of Chicago. While sons Kurt and Brian attended college, Pat and her husband followed a job opportunity to Ohio. 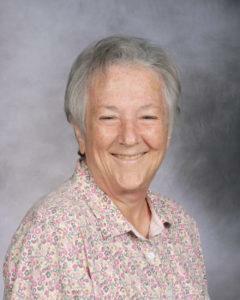 In 1998, Pat joined the Ratner staff in teaching sixth grade. Pat has one grandchild, Maddie, who she describes as “the love of her life.” Pat loves travel and frequently visits family in Connecticut and Florida. Pat is also an avid reader and museum aficionado. Jackie holds a BA in Mathematics and a Masters of Education, both from The Ohio State University. 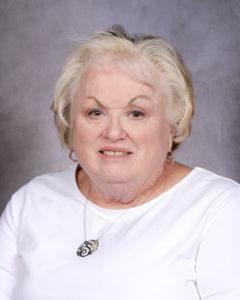 Jackie taught in Cleveland Municiapl Schools and South Euclid/Lyndhurst Schools prior to teaching at Ratner, and she has been at Ratner since 2006. Jackie lives in Solon with her husband and two children. She enjoys spending her free time with her family and friends. 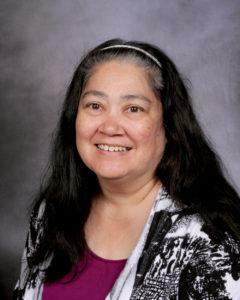 Jackie enjoys hiking, reading, watching movies, as well as watching her children participate in all of their activities. 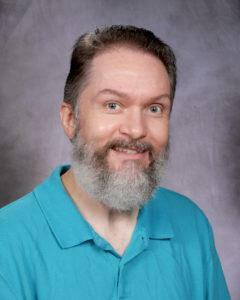 Andrew B. Persanyi, or Mr. P (as he is commonly called), has been teaching for almost 30 years. He began his career as an educator at Lawrence School in 1989 (until 1997), and is now completing his 20th year at The Ratner School. In that time, he has taught every grade level just about every subject, but he has mostly taught 7-8th grade. 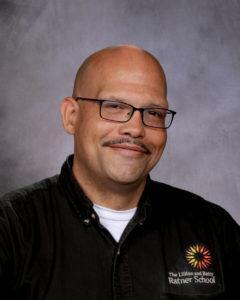 For the past four years, he instructs students in three subject areas: American History/American Government, Language Arts/Literature, and middle school math. Since 1995, he has also been Ratner’s Technology Coordinator has juggled IT duties in addition to his teaching responsibilities. 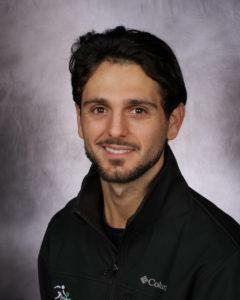 Mr. P began his university studies at Cleveland State University and completed his undergraduate work at Akron University. 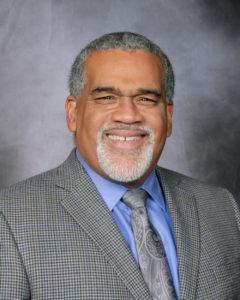 He acquired his Master’s in Education degree at Ashland University. Mr. P enjoys being a father to his two children. He embraces his Hungarian heritage, and is proud of his amazing mother who raised three young boys on her own. He loves food and relishes his time cooking up a storm in the kitchen, including but not limited to Hungarian fare . Mr. P. also enjoys golf, Cleveland sports, movies and concerts. Mr. P is well known for his great sense of humor. In fact, his friends (and students) often request that he perform his voice impersonations of various celebrity characters, such as Jack Nicholson, Al Pacino and Homer Simpson. Princeton University, A.B. Art & Archaeology, Visual Arts Program. Ursuline College, M.Ed., Middle School teaching license in Social Studies and Language Arts, with endorsements in Math and Science for grades 4 – 6. Molly loves the learning community at Ratner, and how students here have opportunities to engage in authentic, hands-on learning. Molly’s other passions are art, music, and nature, as well as travel and cooking. 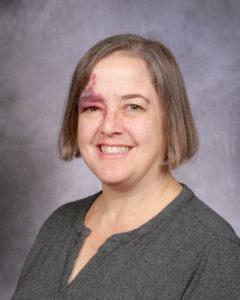 She is an active leader with a Boy Scout troop, co-leading high adventure treks. Recent expeditions have included a 70 mile trek at Philmont Scout Ranch, and a 50 mile canoe trip in French River Provincial Park in Ontario. Teaching at Ratner has been the perfect place for her to put her talents and experience to use in all these areas. 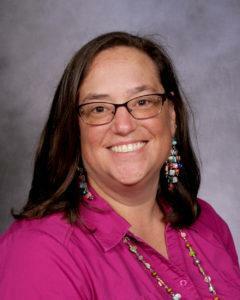 Cindy joined Ratner in 2016 with more than 10 years of experience teaching Spanish at various levels. 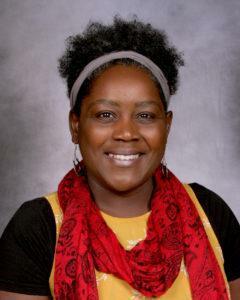 She earned her Master’s in Education and has completed her coursework for a Master’s in Spanish at The University of Akron. Apart from her in-classroom experience, Cindy has traveled to nine Spanish-speaking countries as well as several other countries in Europe. She lived in Bolivia and Ecuador for a year doing various types of volunteer work. Cindy currently lives in Willoughby with her husband, Doug, and three kids: Silas, Sedrick, and Adele. All three are attending Ratner this year! If she had any free time, she would enjoy watching and playing soccer, painting old furniture and reading. 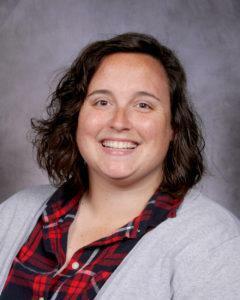 Ratner’s music teacher, Jen Cenkus, has been with Ratner for 8 years and teaches all the students in the school, from toddlers to 8th graders. Jen graduated from Bowling Green State University with a Bachelor’s Degree in Music Education. From there, she taught at Agnon School for four years. 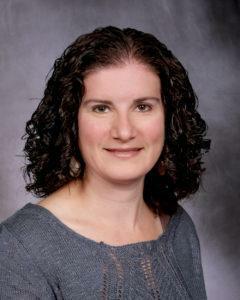 While with The Agnon School, she formed and implemented a successful middle school band program that continues today. 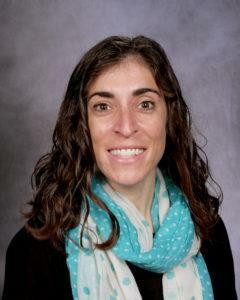 Jen has also spent some time teaching Physical Education, both at Agnon and at Ratner. Jen lives in Shaker Heights with her husband and her two teenage children. Her daughter, Parker plays softball and her son, Alex enjoys fencing with the Shaker Heights Fencing Club. Biking, walking, swimming, and hiking in the Metroparks are among some of Jen’s favorite activities. She even rides her bike to school as long as there is no snow on the ground. In the summer, she enjoys relaxing in her hammock in the backyard while listening to audio books. Denise has been married to her husband Jerry for over 40 years. They have two children, Justin and Jamie, and two grandchildren Gabriel and Julian. Denise enjoys biking with her husband and traveling. Patti Fields is a graduate of The Cleveland Institute of Art and attended The California College of Art and Craft as well as the Penland School of Craft. She has taught various workshops and classes across the country. She taught K-8 students for 2 years at the Lippman School in Akron and is currently in her 13th year teaching art at The Ratner School. Patti is also an accomplished jeweler and metalsmith and is very active in the Cleveland art scene. She has run her jewelry business for 26 years and travels in the summer to participate in various shows. She owns a 1969 Airstream trailer that she enjoys living out of during the intensive summer show season. Along with her jewelry business, she creates larger scale sculptures and art with her husband. 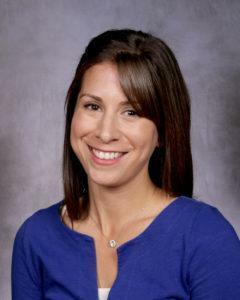 Nicole Gerami is Ratner’s speech language pathologist. She attended Penn State University for her undergraduate degree and Case Western Reserve University for her Masters. Nicole has been working with children since 1993, serving in public and independent schools, clinical settings, and her own private practice. She is also a published author. Her publications include the Narrative Builder, Tell Me What Happened (e-course) and new in 2016, a book for parents and therapists that is being published by XY Verlag in Switzerland. Nicole speaks both across the country and internationally on both social skills development and narrative development in children on the autism spectrum. Nicole works with children with autism spectrum disorders as well as those with a speech and language, stuttering and language delays and disorders. Nicole has also created the acclaimed Friendship Groups, which she continues to run today. 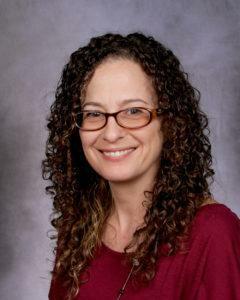 As well, she is the co-creator of Friendship in Teams (FIT), which was created in 2007 and is the founding member of Nicole Gerami, LLC (formerly Western Reserve Speech & Language Partners). Nicole is fully licensed by both the Ohio Board of Speech Pathology and Audiology and the Ohio Department of Education, and she is a certified member of the American Speech-Language-Hearing Association (ASHA). In her free time, Nicole enjoys skiing and horseback riding. Nicole is married and has three children. Cherie has worked for Ratner for over thirty years. For the first nineteen years, Cherie worked as a Montessori Pre-Primary assistant. After that, she assisted in the after school program (We Care) for five years. Since 2010, Cherie has been the Montessori Pre-Primary Hallway Monitor, assisting our youngest students as they learn important elements of independence. Cherie has been married to her husband, Chuck, for forty-seven years. She has two adult children – Eric and Aimee (deceased). Cherie is raising her grandchildren, Samantha and Joshua. Cherie and her husband have two classic cars, and they enjoy going “cruising.” Cherie also loves flea markets, garage sales, and antique stores. She collects porcelain dolls and teddy bears. 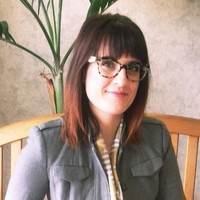 Kate Nagy has a Master’s degree of education in School Counseling from John Carroll University and holds Bachelor’s degree in Special Education from Kent State University. 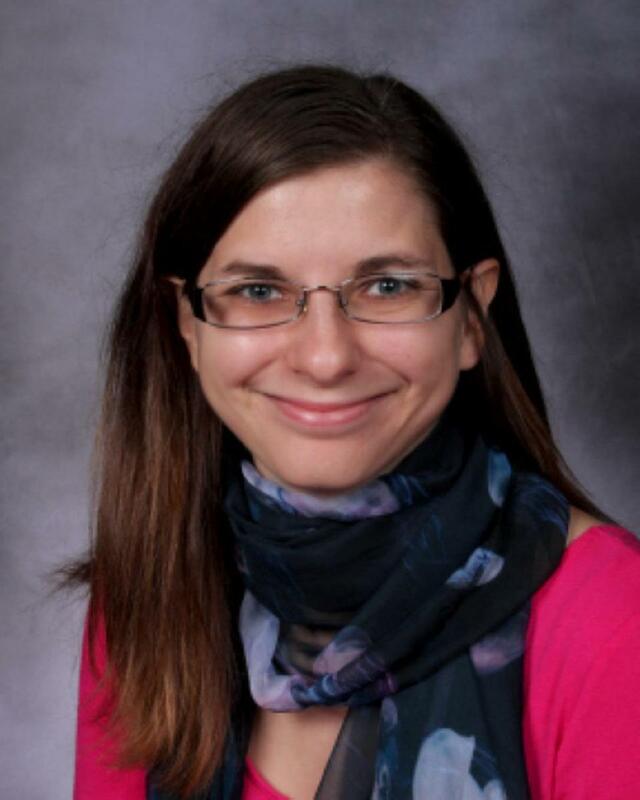 She taught for five years at the Kirtland Local School district as an Intervention Specialist. Kate is also Wilson Reading Certified and has her reading endorsement from Notre Dame College. At her previous job at Crossroads, Kate provided counseling and case management services to students who struggled emotionally and behaviorally. 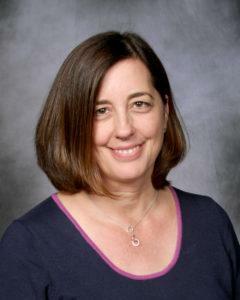 She has experience with counseling students individually, as a group, and implementing school wide programming. Kate loves collaborating with others and enriching lives of the children she serves. She enjoys doing yoga, hiking in the Metro parks with her husband and their two dogs, Piper and Chloe, and reading while snuggled up with her three cats Moo, Max and Zeus. Anjali Patel began her post high school education at the University of Georgia. 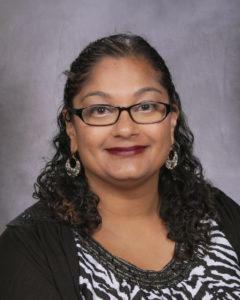 Anjali completed a 2 year degree in Early Childhood Education. She taught Pre-Kindergarten for four years. After getting married, she moved back home to Pennsylvania and finished her Bachelor of Science Degree in Earth Sciences Education 7-12. Anjali moved with her family to Richmond, Virginia and taught for five years at Hopewell City Schools as an 8th grade science teacher. Following the birth of her son, Rohan, she returned home to Elyria, Ohio to be closer to family. Anjali loves books and movies, especially fantasy, science fiction and historical fiction genres. Anjali is a Lord of the Rings, Star Wars and Harry Potter superfan! Jodi grew up in Shaker Heights. After a couple of years in college, Jodi returned to Cleveland and became a licenced realtor and massage therapist. After some time in both professions, Jodi found her passion in photography. Jodi also spent many years working in restaurants, which is where she met her husband, Stan. Jodi and Stan have two sons, both attending Ratner. Nicole holds a Bachelor’s degree from Kent State University and a Master’s certificate from Southern Methodist University. Nicole has Wilson Level I certification, is a Certified Academic Language Therapist, and holds IDA Dyslexia Therapist certification. Nicole is married and is the mom of six children. Nicole’s oldest daughter struggled to learn to read, and was diagnosed with dyslexia at the end of 4th grade following years of frustration. This experience shaped Nicole’s career, and she now specializes now in reading strategies, dyslexia and similar reading disabilities. Nicole is also on the board of the local chapter of the International Dyslexia Association. Nicole enjoys hiking with her husband and attending shows at Playhouse Square as a season ticket holder. 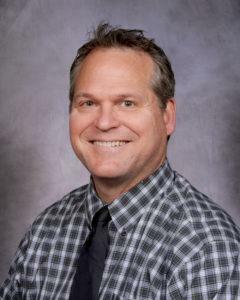 David Steinweg, Ph.D., is a licensed psychologist specializing in children, adolescents and families. 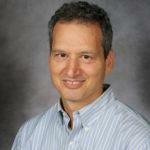 He earned his doctorate in counseling psychology from the State University of New York at Buffalo in 1992. He was awarded the University Teaching and Research Fellowship for his graduate scholarship and research. He completed his doctoral internship at the Case Western Reserve University School of Medicine — University Hospitals of Cleveland. He is a full member of the American Psychological Association and its divisions of Clinical Child Psychology and Family Psychology. David enjoys being a husband and father. He likes playing blues and bluegrass guitar. He is in a never-ending search for the best burritos and barbecue in Cleveland. He also likes to ski, go to the beach and hike in the woods with family. Nadia holds a BA from Hofstra University and an MA from Cleveland State, both in American History. 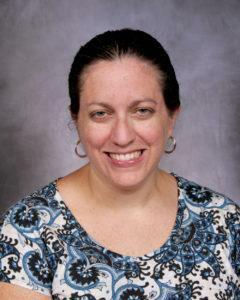 Nadia is a Ratner Alumni Parent (Eben Carek and Maddy Carek), and has been a Ratner staff member since 2002. Nadia loves writing and is an avid reader. Most surfaces in Nadia’s home are covered with the books she has read, is reading, or plans to read. Nadia enjoys running but doesn’t love races, though she will happily take last place in a 5k if it supports a good cause. Each summer, Nadia returns to her Canadian homeland for a brief visit. She is rarely seen without a cup of coffee in hand. Mandy Walden graduated from Kent State University’s Honors College with a B.S. in Secondary Education/Communications. She taught high school language arts for 3 years and assisted in coaching the Speech and Debate team to a state championship. 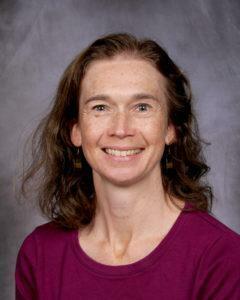 Having discovered a passion for curriculum development, she then embarked on a 15-year career in educational publishing, working on all aspects of textbook editing and production. Education has always been Mandy’s calling, and she is happy to return to a school environment and to be part of the Ratner community. A lifelong resident of Northeast Ohio, Mandy is an avid fan of all Cleveland sports, cultural institutions, and Metroparks. She also enjoys ornamental gardening, craft projects, and most of all, spending time with her husband and their four wonderful children.